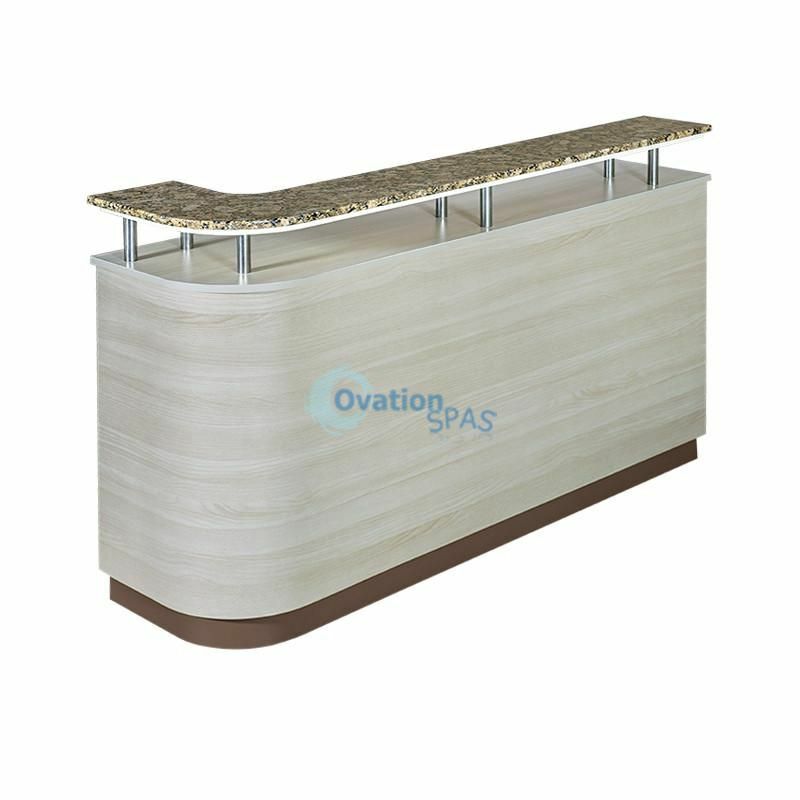 OS#2 Collection create the perfect nail salon or day spa space with the L-Shaped Receptionist Counter. 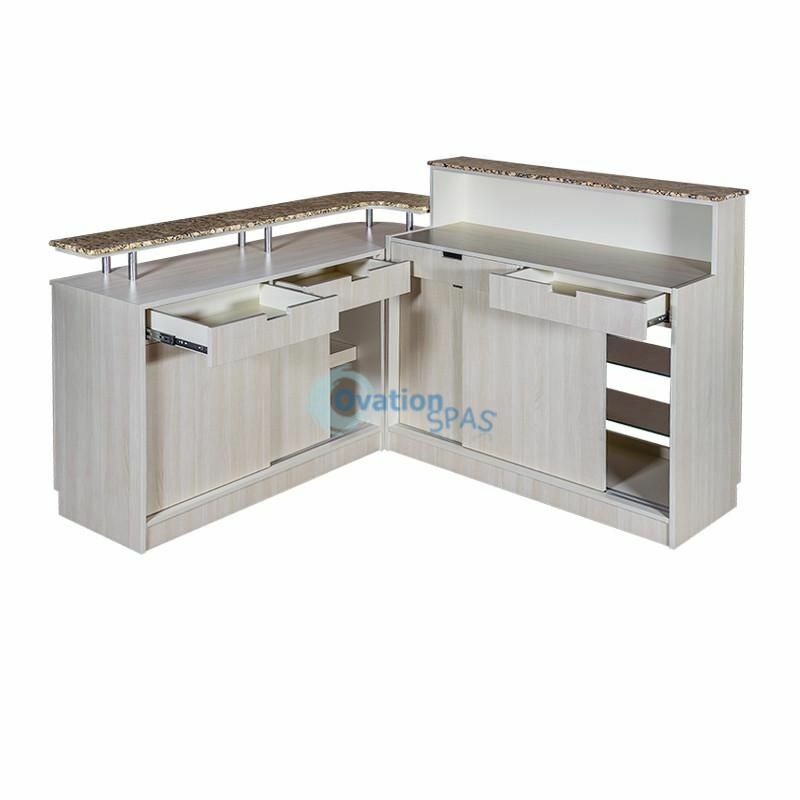 This Desk fits snuggly in a corner to maximize your salon space. 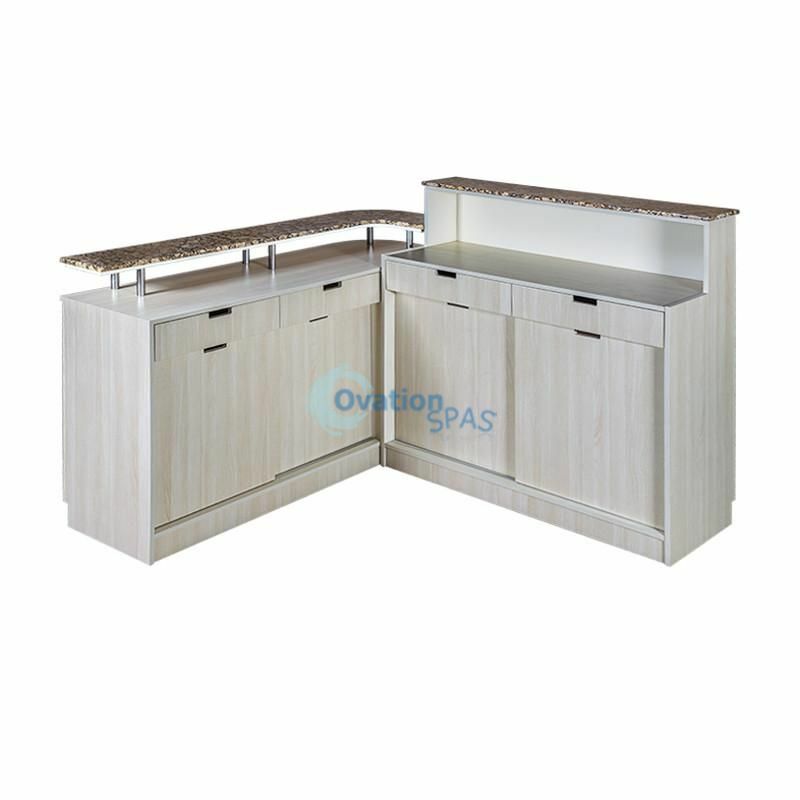 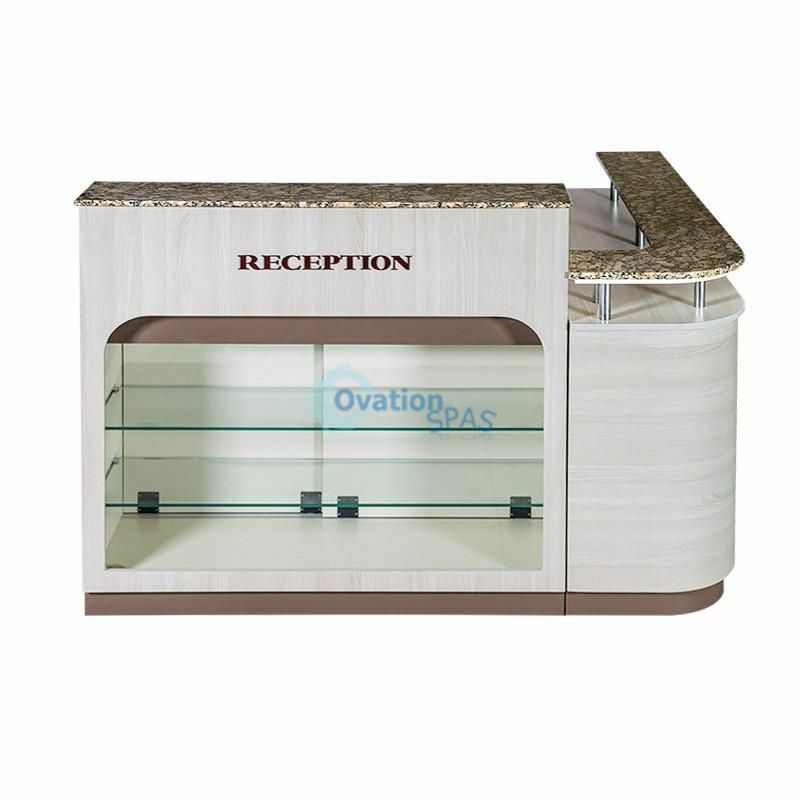 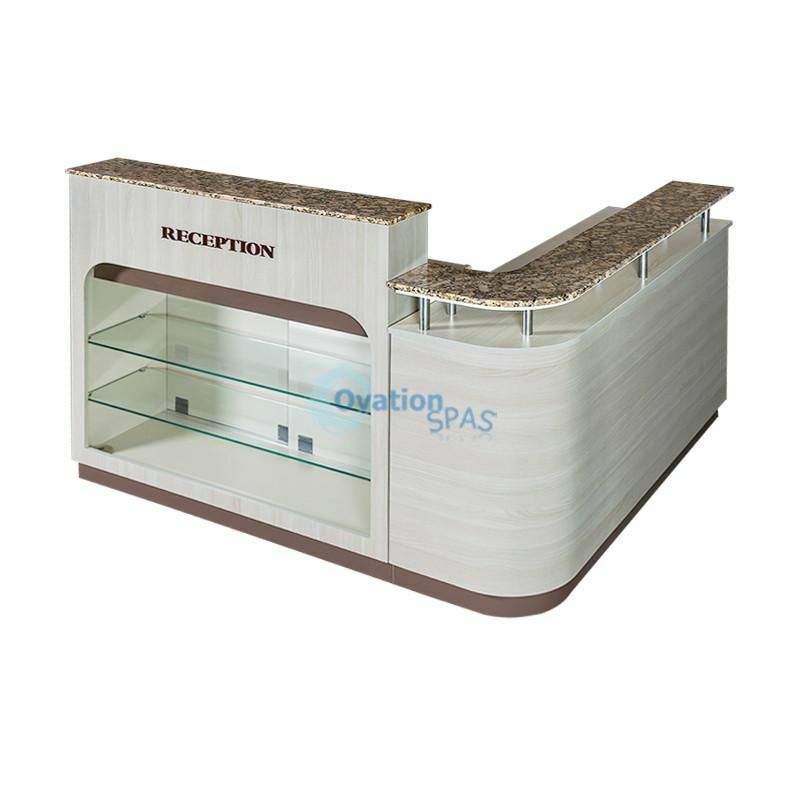 Reception come with marble top and large shelves to retail your products.